← Vote for us in the Free Times – Best of Columbia! 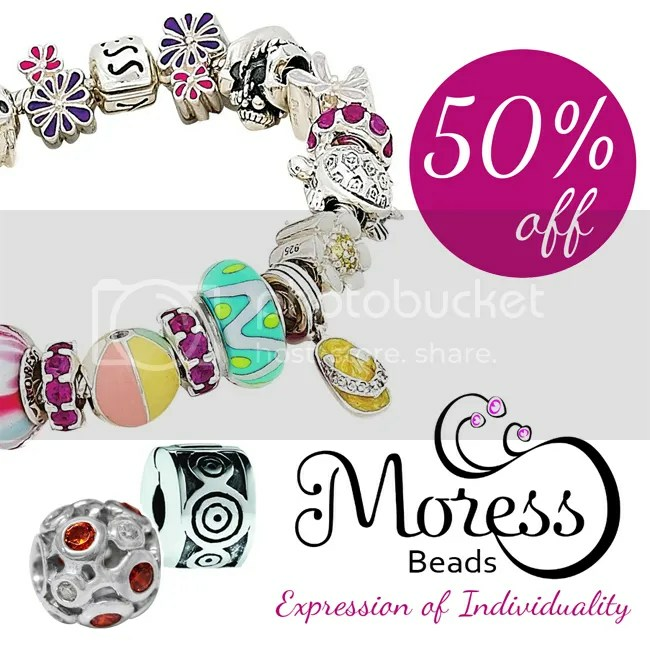 We have a huge collection of Moress Beads – now 50% off! Stop by one of our stores to see the collection – They will be online soon! About the Moress Bead Brand – The word “moress”, meaning “peacock” in Thai, symbolizes beauty, elegance, prosperity, and love. In Thai folklore, peacocks can turn any poison into its lavish and vibrant plumage. This is what Moress represents – beauty and strength. Moress offers skillfully crafted charm beads that are uniquely designed. This entry was posted in Jewelry, Jewelry News, Jewelry Promotions, Sales and tagged beads sale, jewelry sale, jewelry warehouse, moress beads, sale. Bookmark the permalink.